As part of a federal effort to improve safety at chemical manufacturing facilities, OSHA is planning to update its Process Safety Management (PSM) Standard (1910.119) within the next twelve months. This follows an Executive Order issued by President Obama in the wake of recent tragedies, such as the April 2013 explosion that killed 14 in West, TX. OSHA's action plan is laid out in a June 6 report, titled Executive Order 13650 - Actions to Improve Chemical Facility Safety and Security, and addresses emergency response, coordination among Federal agencies, improving data management, modernizing policies and regulations, and incorporating stakeholder feedback. Clarification of confusing and misunderstood policies. OSHA plans to revise the definition of "retail facilities" to more accurately reflect the original intent of the statute. OSHA also plans to revise the current interpretation of chemical concentrations covered by the PSM standard to more clearly describe what is covered. Clarification of the standard to reflect lessons learned from enforcement, incident investigations, advancements in industry practices, root cause analysis, process safety metrics, enhanced employee involvement, third party audits, and emergency response practices. Addressing ammonium nitrate hazards by covering it under reactive chemical hazards or adding to the PSM list of highly hazardous chemicals. Adding substances to PSM Appendix A list of highly hazardous chemicals and improving methods for adding new substances to the list. 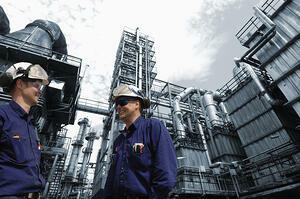 Expanding coverage and requirements for reactive chemical hazards. Covering oil and gas drilling and servicing operations which are currently exempt from PSM coverage. Continuing harmonization with EPA's Risk Management Plan regulation. Requiring coordination between chemical facilities and emergency responders to ensure the responders know how to safely respond to accidental releases. These changes will result in increased compliance tasks for safety professionals, particularly in the oil and gas operations, which has been exempt from the PSM standard in the past.